Last week, virtual analog synthesis wizards u-he released their free researchware plugin RePro-Alpha, which is all about evaluating different variants of an SCI Pro-One filter emulation. In this case, the different filter types sound pretty much the same under normal circumstances. The differences only become obvious if you bring the filter to its limits. So here’s a little walkthrough on how to familiarize yourself with an analog filter by exploring its limits. This applies to analog as well as virtual analog filters and should serve as a guideline on what typical phenomena to listen for, and how to set parameters in order to make the subtle differences more obvious and more approachable. It’s probably a good idea to have a high resolution real-time analyzer running as well. For some of the phenomena discussed below, this will help understand what it is you’re hearing. You can also use this process to put virtual analog synthesizers to the test. The extreme settings and operating conditions are what separates a nice emulation from a great one! Let’s start easy. First we need an input signal to the filter. A single saw oscillator is perfect for the task, as it provides a broad spectrum and all even and odd harmonics. The regular weighting of harmonics is also a plus, as we don’t want an all too complex waveform to distract us from what we really want to hear. 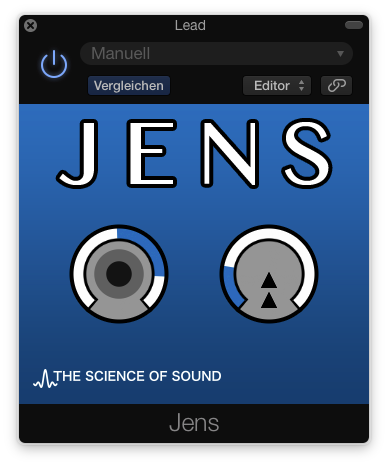 In the beginning, set the filter resonance to minimum and sweep the cutoff around a bit. You probably won’t hear anything very special yet, as in this configuration the filter will operate under smooth and mostly linear conditions. Warm yourself up by listening to the sharpness of the slope and also to the overall character of the saw oscillator. Now’s the time to start getting a little nastier. Increase resonance slowly and notice what happens. Of course you’ll get the resonance peak, but there’s more. Is the resonance itself distorted or is it very clean? Is the tuning of the resonance stable or does its frequency go up or down a bit when you move towards maximum resonance? Does it self-oscillate? Resonance detuning and self-oscillation are typical phenomena that are caused by the nonlinearities in filters. Without these, it wouldn’t be possible to get a stable self-oscillation. What about the other frequencies? Do low frequencies go down when resonance is increased? This is typical for 4-pole filters like the good old Minimoog ladder filter or variations thereof. Now with resonance at max, sweep the cutoff around and find out if the resonance is consistent or if it gets stronger or weaker in certain frequency ranges. Pay special attention to very high cutoff frequencies. If you are dealing with a digital emulation, listen for aliasing or other artifacts that might occur. We’re getting to the more interesting stuff step by step. To me, one of the most important properties of an analog filter is how the resonance interacts with the input signal. This interaction is a result of the nonlinear distortion happening in a filter, and depending on the filter structure and implementation, there can be huge differences. What happens is that usually at one point there is a signal fed back into the filter and mixed there with the input signal. The mixed signals will then pass a nonlinear element and will thus be distorted together. Apart from creating harmonic distortion, a nonlinear element will also result in a form of compression, where in this case the input and feedback signals compete. If the feedback signal is much stronger than the input signal, the latter will be compressed away. As a result, the resonance that the feedback creates will become very dominant at the output, and probably the input signal will be hardly audible at all. In the opposite case, when the filter input is driven hard, the feedback signal will be pushed away by the input signal. The resonance will get much weaker and maybe even completely disappear. You can test that behavior by playing with the oscillator volume and observing what happens to the resonance if you turn the oscillator down. Does the resonance get stronger then? If the synth at hand provides a drive knob, does the resonance go away when you push it really hard? The above phenomenon creates even more fun when input and feedback signal levels are balanced so that they are roughly in the same range. In this case, rather than pushing each other away, the two signals get into a lively dialogue. To find that sweet spot, you need to play around a bit with resonance and input levels. Unfortunately, some synths are set up in a too clean way which won’t let you get enough input level to get this kind of behavior. But if you found the spot, sweep around the cutoff slowly and you might notice some really funny stuff. A typical result is that the filter resonance “locks in” to harmonics of the input signal. It’ll sound like the cutoff knob isn’t continuous anymore, but now sweeps through the frequency range in discrete steps. Another typical phenomenon occurs when the resonance frequency is right between two harmonics of the saw input. The filter might then switch around chaotically between these two locked states, creating a noisy and sometimes even rhythmic sound similar to that of a good old-fashioned dial-up modem. Now’s time to let someone else turn the cutoff knob for you, as your hand might not be fast enough. If possible, modulate the cutoff with an LFO, slowly at first. Notice we’re still at a high, probably maximum resonance setting. Listen to how the resonance sweeps through the harmonics and probably interacts with them. Tweak resonance and input levels to find some sweet spots. 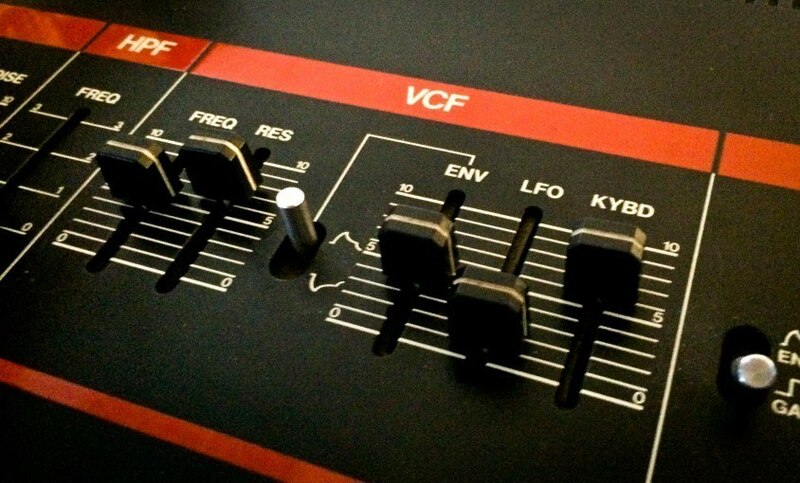 Now increase the LFO frequency. How does it react? Especially with digital emulations this gets interesting. Does it get noisy or does it still sound analog enough to you? If possible, increase the LFO frequency into the audio range. This should now sound like an FM synth, and hopefully not too noisy or distorted. And now for the final round. Turn the LFO modulation to zero again, reduce the resonance to a low to medium value and find the filter envelope. Set attack, sustain and release to zero and decay to a medium value. Dial in a low cutoff frequency where only the first few harmonics get through. Turn up the envelope depth until the filter opens nearly fully at note on. Now decrease the decay time slowly and listen while repeatedly triggering notes. How fast can you make the decay? Does it retain the high frequency content also for very short decay times? How punchy can you make it? Does it lose punch when you reach minimum decay or does it still click nicely? Note that this part of the test also depends on the envelope itself. But it’s great to bring a filter to its limits. Especially digital emulations may not survive this heavy treatment and become weak, noisy or grainy when modulated fast. With the above strategies, you have a great basic process at hand to explore the typical behavior of analog (and digital) synthesizer filters. Try it out with as many examples as you can! Although there are only a few basic filter topologies, the differences between various implementations can be huge and absolutely fascinating! From there on, you can try more parameter combinations and hunt for more sweet spots and special features of the synth at hand. What are your tips for bringing special features of synth filters to light? Share your experiences in the comments!